I read that.... The solution was to connect the Touchpad via USB Drive then select one of the individual files I had tranfered to the Touchpad. Right click to select properties on the file. Select "read only" and deselect "hidden" and "archive" properties. Click "Apply" then "OK". I think webOS would be cool in place of factory navigation/information systems in higher ended cars. I'll have to check that out. Hopefully we'll get some more members here! The one thing we have over the ipad is flash! I myself was hoping for Samsung or HTC hardware. I got an email today stating that it's 6-8 weeks out but will come. That's cool that you are able to test that!!!!!!!! 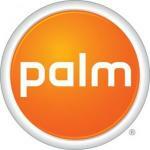 Palm Pre 2 Order Confirmed! Did anyone get their Pre 2? I also ordered 3 for my family and I have not. Using this page for order status: https://h20497.www2....m/os/public.tcl Below is my order screenshot..
Now that Samsung CEO has said "never' to purchasing webos, It doesn't look good. HTC also said no I believe. Are you browsing around webosdummies? Join us, hit the sign up link! Log in with your facebook if you like. Post in here if your new! I'm not sure what to do with my Sprint Palm Pre, now that I'm on Verizon. Maybe I can doctor it up withoujt activation and use it around the house!